Archificio is an international architectural practice based in Milan, with a consolidated experience in residential, retail, office and interior design. Archificio is a capable, caring and tenacious partner that looks for long-term client-architect relationships based on mutual trust and shared inspirations. We are among the first practices in Italy to have implemented BIM (Revit), a model-based technology linked with a database of project information, in which building geometry, spatial relationships, geographic information, quantities and properties of the building components are all managed in a single virtual building model. We believe BIM to be a working method that drastically improves the quality and sustainability of buildings, from their design and construction to lifecycle management. 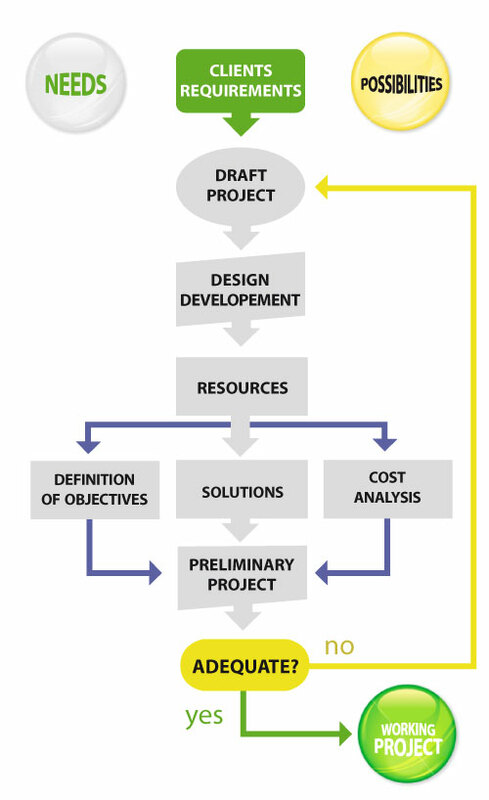 We see building design as a creative process that aims to reach the essence of a given set of design conditions, based on a pragmatic, thorough and sensitive assessment of the site and its context, of client objectives , functional requirements, building norms and regulations, materials and construction techniques. Through BIM, we are able to efficiently manage a series of highly complex processes involving numerous technical and professional figures, in order to deliver contracts, whatever their scale, on time and according to budget. Our aim is to design buildings that are enjoyed by their occupants, and we measure our success on the satisfaction of our clients. In recent years, the energy issue has become critical, with an explosion of new, ecologically sustainable materials and technologies in the building sector. As architects we are facing the challenge, researching innovative ideas and new solutions (or simply better ones) to old problems. As qualified energy certifiers, we have the competence to assess the multitude of alternatives available in order to design sustainable buildings that are quick and economical to build and of the highest architectural quality. We believe that building design is stimulating, demanding, inventive, frustrating yet hugely satisfying, and is a constant challenge that continuously stretches the mind beyond the boundaries of accepted knowledge.